I am a college student majoring in Information Systems/Business Administration. I bring ideas to life and come up with improvements for others. I design items for my father's mixed martial arts classes; I make different training weapons for them. In high school, I was Co-Captain of my school’s robotics team. I tamper with new ideas and am willing to try new designs. I popularized 3D-printing at my high school. One-day, I would like to see 3D-printing grow into something bigger. Also, I can repair some STL files to make them printable. I am willing to try to design your personal ideas into files, for a fee. 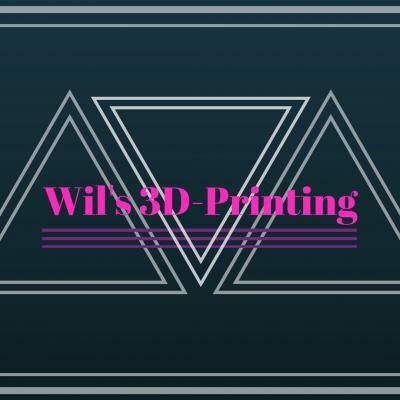 Contact me at wil@wilscustom3d.com for more information.